It is that time of year. If you've been to the mall, the crowds are gathering and the cash is flying. It's the season of giving and special gift boxes, bags and other containers are "on the make". 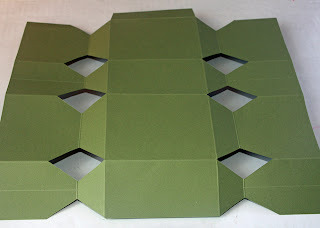 Crafters, order your supplies today from Cutcardstock.com so you have plenty of time to create. 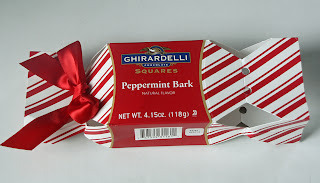 While I was out shopping (boy that always gets me in trouble), I saw this darling package filled with Yummy Peppermint Bark. I could not resist re-creating the box at home. Now that I've figured it out, it's your turn! Gather supplies as seen in the list below. 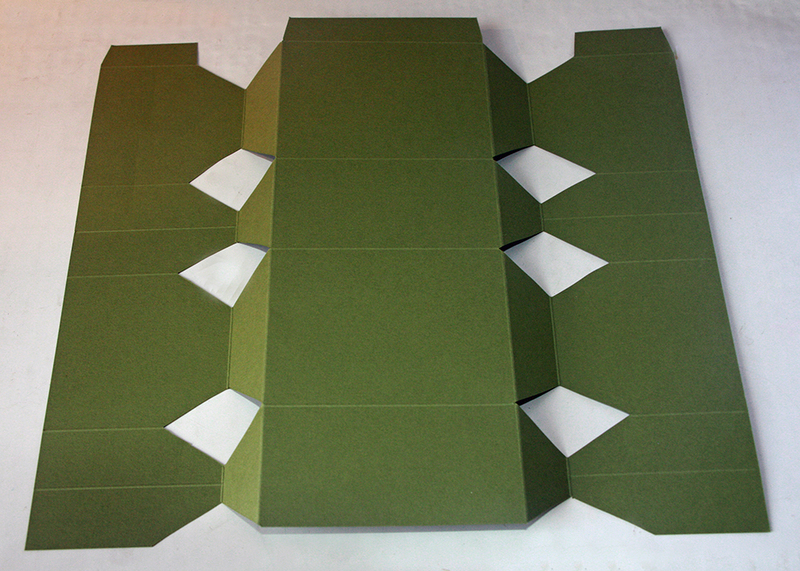 The first step is to prepare your cardstock by scoring it. 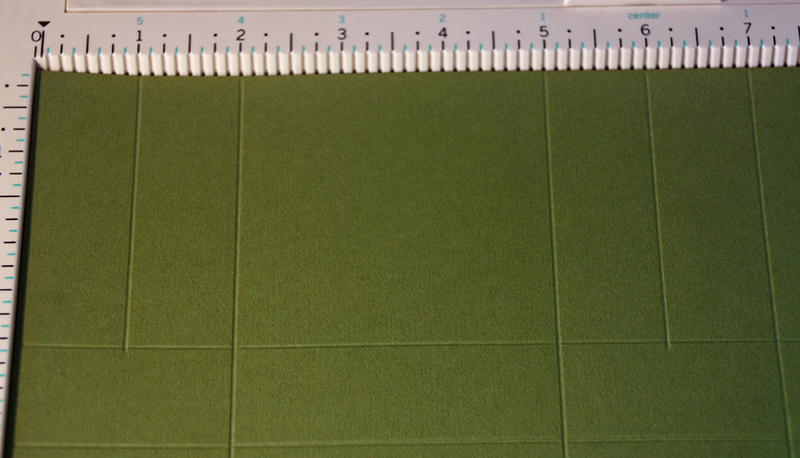 Using 12x12" 80# Basis Olive Card Stock, score at 3", 4", 8" and 9". 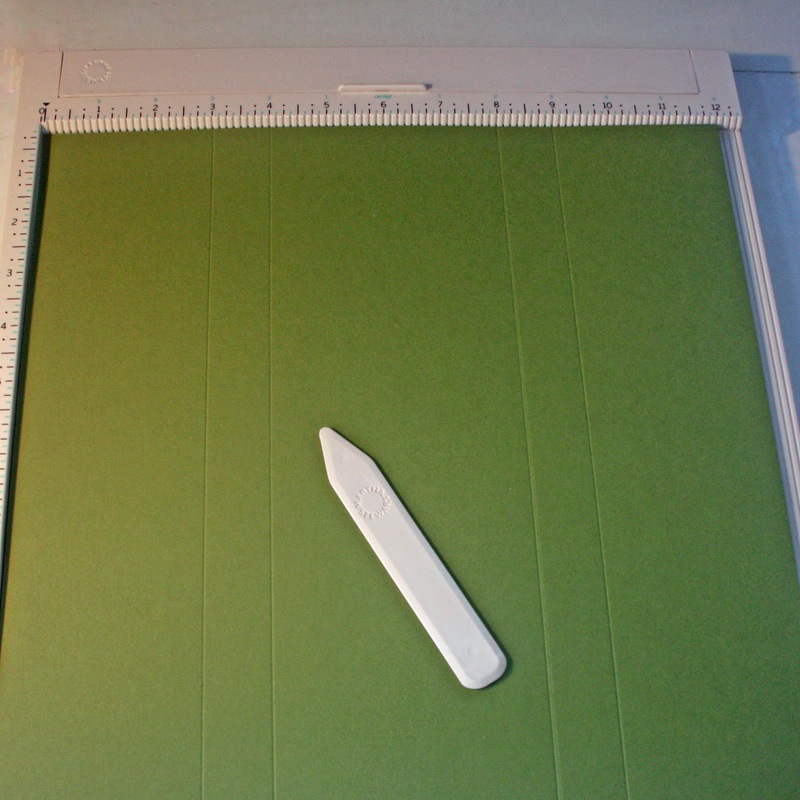 Rotate the paper and Score at 2", 5", 7", 10" and 10-3/4"
Score from the top of the page to the first line at 1", 6". 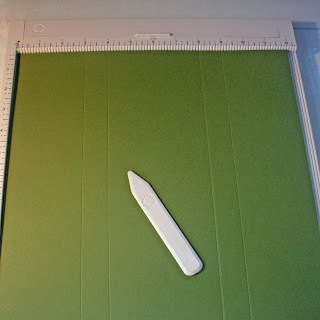 Be sure to create the same score lines at the bottom of the page. 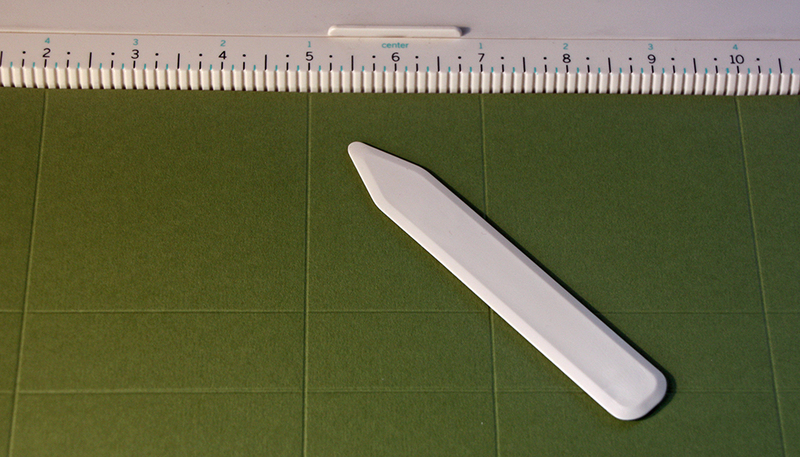 Trim at the 10-3/4" line. 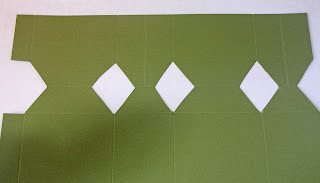 With the short end on the upper edge, circle the crosses found at 8 points in the paper as seen here. 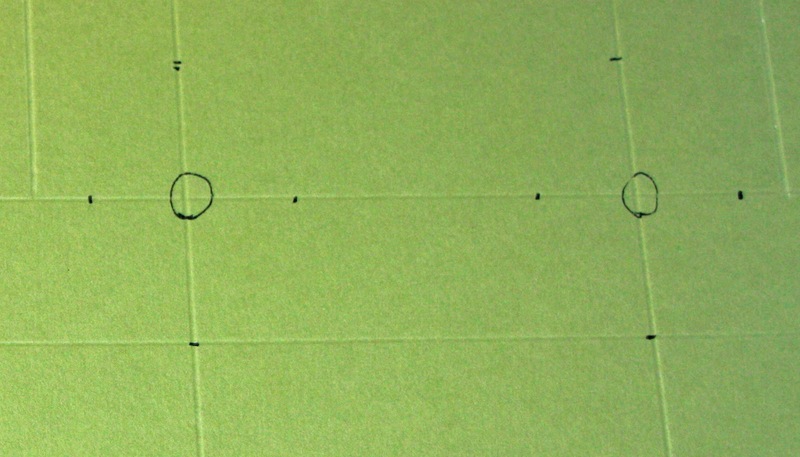 Then mark 1-1/8" above and below and 7/8" to the right and left of each cross point. image...need to see all 8 points. Place the paper on a self-healing mat and use a kraft knife to cut out the diamonds, paying close attention to how the ends are cut. Also mak sure to complete both sides of the box. Fold all lines as shown here. 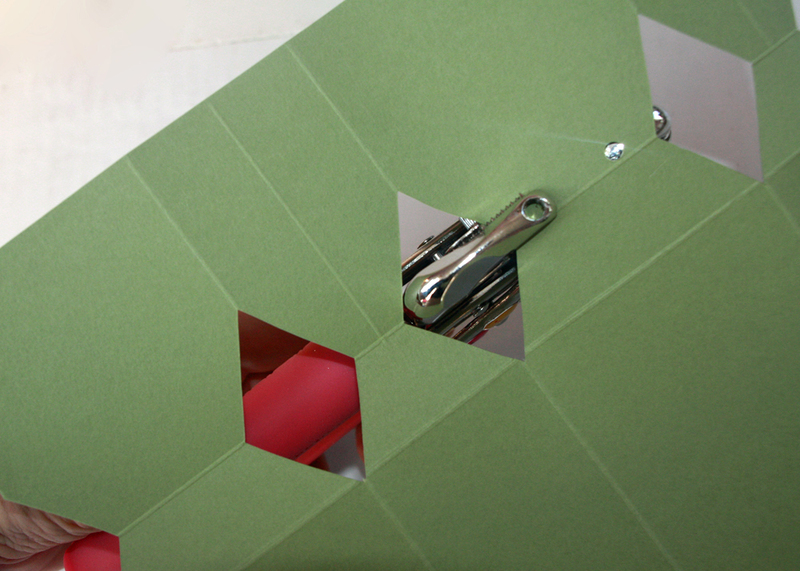 Adjust a hole punch to 1/2" depth punch holes into the outer section of the box. 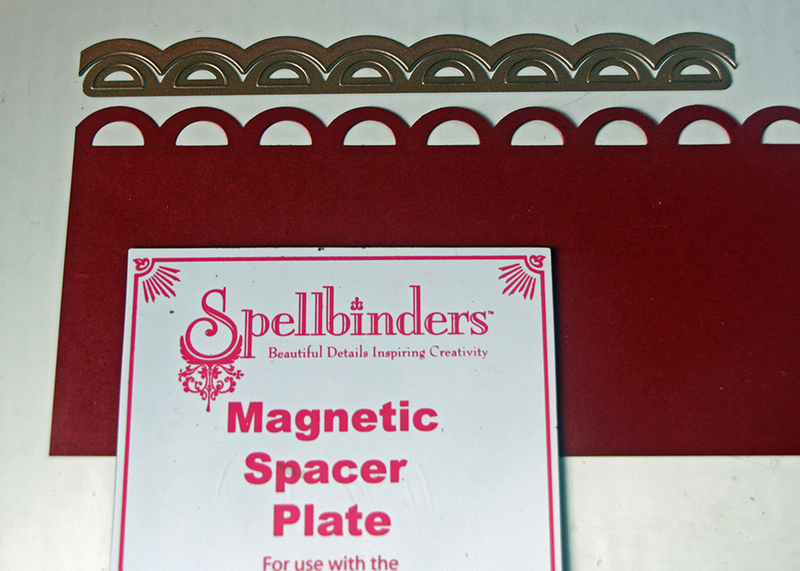 Trim 8-1/2x11" Stardream Metallic 81# text weight in Mars in half vertically. 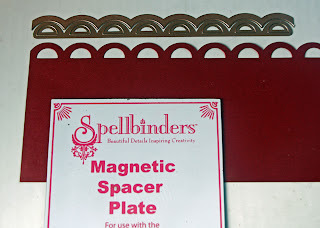 Use Spellbinders Edgeabilities of choice, to make the edge decorative. 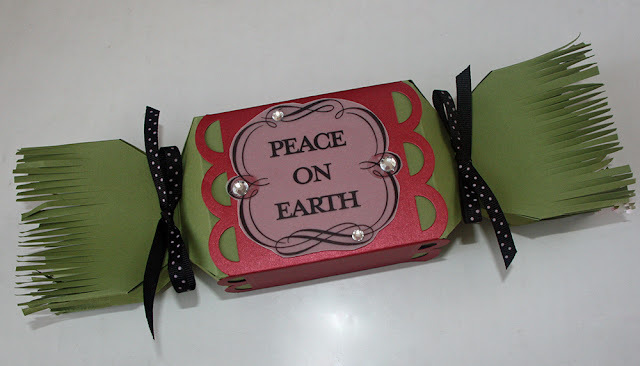 Embellish the box with the decorative strip. 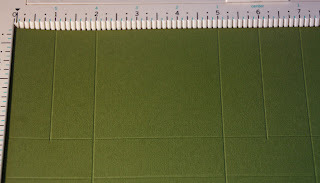 Add red line tape to the small flap sections at the end of the box and close the box. Creasing if needed. Add a little bling and Christmas image. 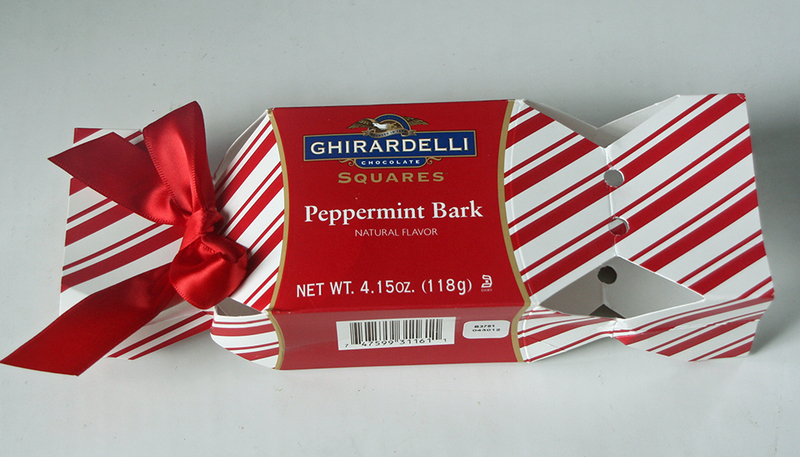 Finish by tying one ribbon, putting in the treats and tying the second ribbon. 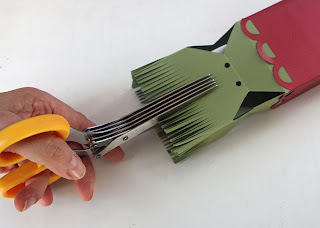 PS: I thought I'd leave you with a couple of re-posts of other gift giving options. Happy Gift Wrapping: Sweet Treat Box, Gift card holder, Photo carrying card, and Basket Box.